Kerry's Quilting: Design Wall Monday August 6, 2012. Design Wall Monday August 6, 2012. This week I am on vacation!! Visiting family this week in the Sacramento area. Of course the Janome is traveling with me as my Sister and I have a block project that we are working on. 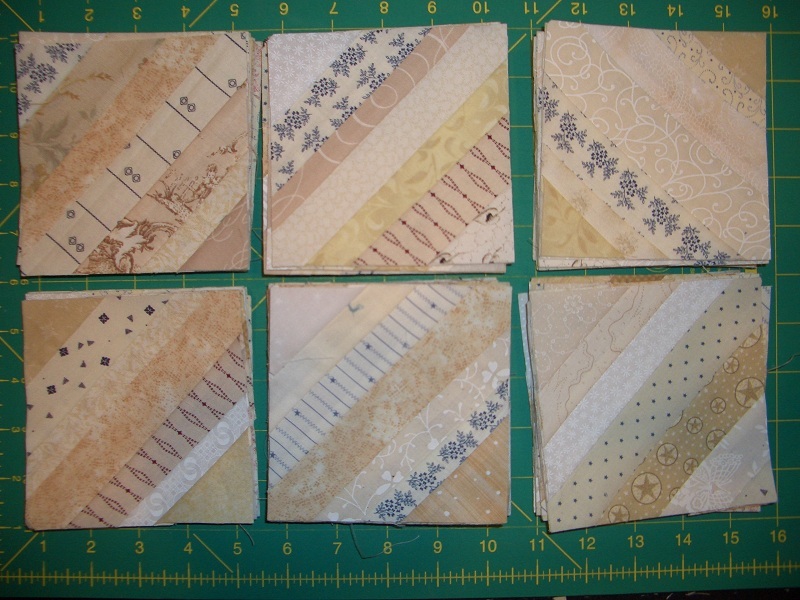 I hope to also work on more of the Dear Jane Blocks. Below are the latest finishes. I have also been working in the string blocks for my Jamestown Landing quilt- another Bonnie Hunter pattern, which is featured in her new book, String Fling. Check it out at Quiltville. I love making these string blocks and it uses up all those small little pieces from the stash. Only 110 more to go! What are you working on this week? 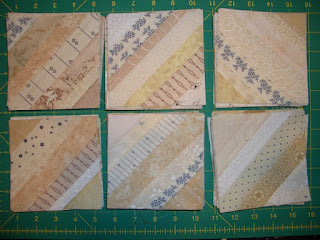 Check out all the other projects at Patchwork Times. Good start on your two quilts. I love James town landing and may have to do it too. Hmmm.... I'm heading to Sacramento on Thursday to attend a memorial service for my SIL. I so admire those of you who make DJ quilts. They're awesome! 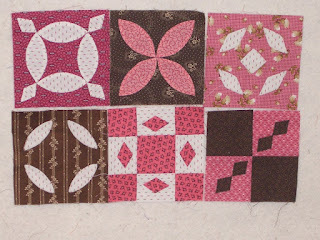 I love the way the pink and brown go together -- pretty blocks! I like the neutrals in the string quilt, usually they are so bright, really like this one.